This article was written for owners of forestlands managed for timber production. It was written as a result of seeing too many small walnut trees getting cut. There are several good reasons to harvest trees. 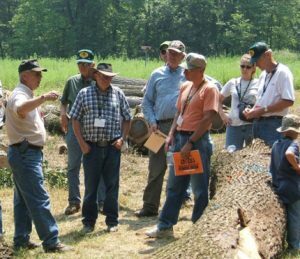 This document offers excellent guidelines when preparing a timber sale contract. Timber price reports for most US states and Canada. An article written by Donald A. Nichols, professor emeritus of economics at University of Wisconsin- Madison and presented at the Walnut Council national meeting in August 2009. 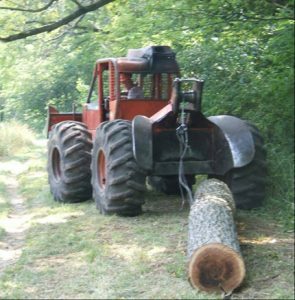 "Top Ten Things To Do When Selling Your Timber"
Only sell trees that should be harvested, not just certain diameter trees. Sell a variety of harvestable trees, not just your best trees. Only sell cut and scale or on shares if you know how to cut and scale trees. Avoid a management agreement that gives a company exclusive rights to your trees. Trees damaged during harvest should not be included. From The Woodland Steward, Spring 2001, Volume 10, Number 1.